Donald Macleod explores the music of Mussorgsky, focusing on his songs. 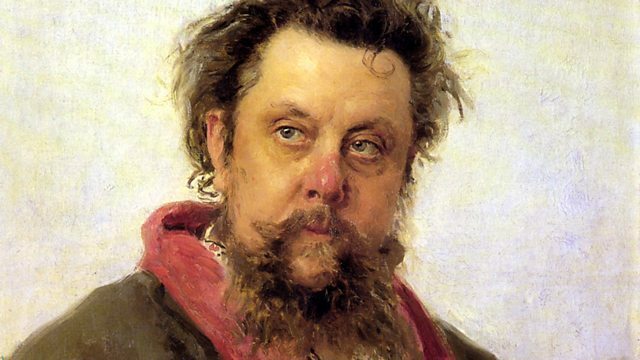 The operatic masterpiece Mussorgsky left unfinished and his greatest song-cycle, Sunless. Orchestra: Ussr Ministry Of Culture S O. Singer: Vladimir Khrulen. Singer: Ludmilla Kolmakova. Conductor: Gennady Nikolayevich Rozhdestvensky. Singer: Aage Haugland. Singer: Bojidar Nikolov. Singer: Anatoli Kotscherga. Choir: Vienna State Opera Concert Chorus. Choir: Slovak Philharmonic Choir. Orchestra: Orchester der Wiener Staatsoper. Conductor: Claudio Abbado. Performer: Vladimir Krainev. Singer: Yevgeny Nesterenko. MELODIYA: MEL CD 10 01401.